Milk is one of the “big eight” food allergens that wreak the most havoc on Americans’ health. Milk allergies are primarily the domain of children, but they can occasionally continue into adulthood. Roughly 2.5 percent of children are allergic to milk, and nearly all of these children develop the allergy within a year of their birth. Milk allergy is caused by an inappropriate response to a stimulus. In this case, the stimulus is the proteins found in dairy products. The body should react appropriately by ignoring these harmless proteins. Instead, it overreacts by unleashing chemicals (such as histamine) into the body to fight off the “enemy allergens.” The chemicals don’t affect the milk proteins in the least, but they trigger all manner of uncomfortable and sometimes debilitating symptoms in the body. 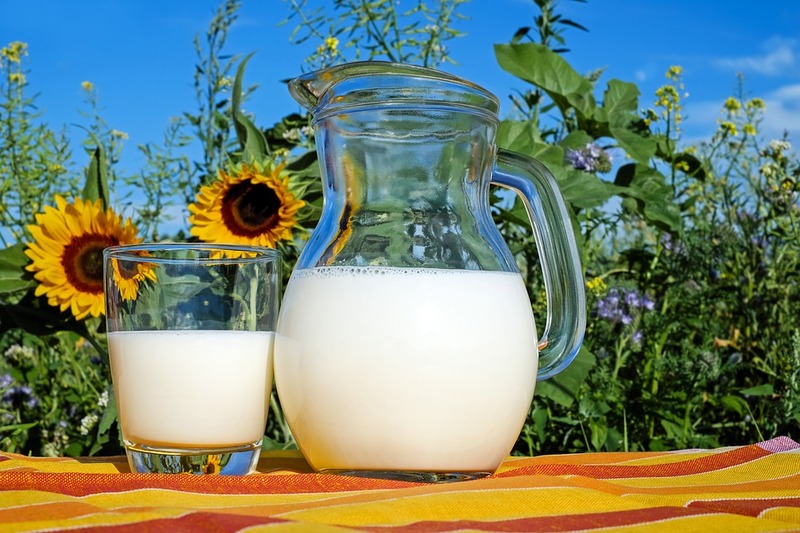 In the most severe cases, milk allergy can lead to anaphylaxis, which is marked by fainting, low blood pressure, light-headedness, and constricted airways. Many people confuse milk allergies with lactose intolerance because they both cause distress in the gut. Lactose intolerance has nothing to do with the immune system, however. It stems from the body’s inability to produce enough of an enzyme called lactase. The body needs lactase to break down the sugar (lactose) that is present in milk. If your body can’t process lactose, dairy products will leave you with cramps, gas, nausea, diarrhea and bloating. Manage your diet to omit milk products. This is possible but difficult. Not only are allergenic dairy proteins found in obvious places (ice cream, cheese, yogurt, etc. ), they are also found in some breads, crackers, broths, and deli meat. Even some beauty products may contain milk. If you are particularly sensitive to milk proteins, just touching these products or inhaling them could stir up symptoms. Get food allergy treatment. Modern medicine has expanded allergy treatment beyond just environmental allergens. It now offers food allergy treatment in the form of sublingual immunotherapy or SLIT. With SLIT, a serum containing extracts of trigger foods is mixed into a saline solution. As the body is exposed to traces of these food proteins in gradually increasing amounts, it learns to “make peace” with them and stop overreacting to them. Milk allergy treatment can allow you to eat the dairy products that you love without fear of repercussions for your health. Allergy Easy > Allergy Information > Got Milk Allergies?